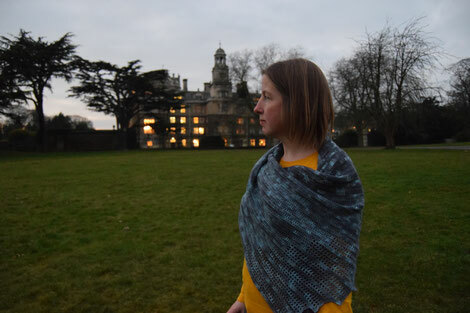 I was delighted when the talented knit and crochet designer Sarah Hazell collaborated with me on Arabella. Arabella is a stunning vortex shaped crocheted shawl with openwork detailing on one edge. The yarn that Sarah chose was my luxurious Falkland Fine Merino 4 ply in the comtemporary colourway Blue Thunder. Arabella makes a perfect wrap for that 'special' evening event!